A short about the making of Powaqqatsi. Q: What does Powaqqatsi mean? My first impression agreed with the post above but it grows on you. Here are some reasons why. Koyaanisqatsi was made by Americans, about America, for Americans. The image style and content and the soundtrack (turn it up, even better by the 1998 rerecorded soundtrack and turn it up) are all familiar to American eyes and ears. Poyaanisqatsi was made by a mixed team of nationalities about the countries of the Southern hemisphere. It goes places where we do not usually go, we face the unfamiliar. The soundtrack does the same thing. It uses rhythmical and melodic styles from the countries visited, once again unfamiliar to our American eyes and ears. I enjoy Koyaanisqatsi for the awesome imagery including time scale effects a nd the unusual view it presents to us of what we live in everyday. Both movies use picture with music but no words. The creators intended it to carry a message but left it to the viewer to create it. Here's a single example from the opening of K.
The visual shows the beginning of man's journey from Earth to moon, and the camera is put where we can see the rocket engines come to life close up. The soundtrack is completely contrary to the obvious visual idea. Instead of trumpet fanfares and explosions of sound we strain to hear deep solo voices chanting the title of the movie over and over as the dramatic rocket launch visual is slowed down so that 3 seconds ocupies 3 minutes. The result is a strange contrast between sound and vision which stands apart from conventional ideas. AS the rocket trembles in a shower of ice we are invited to ponder all the meanings that this event might possess and the space and time provided for our imagination to operate inside encourage the same contrary thoughts. The time distortion means that we no longer experience the explosive impulse created by man's mastery of metal, electricity and chemicals and let loose in a mighty roar when the clock counts ZERO. Here there is no clock, the deep voice marks the passage of time and the picture we see is of some machine never seen before that can rise gently up into the air to the sound of chanting. 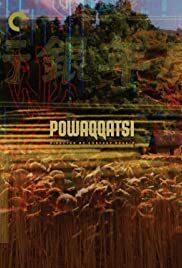 Poyaanisqatsi explores the more ancient ways still existing, outdoor manual labor rather than factories, seasonal activities, self sufficiency by sailing, fishing, digging, plowing, reaping and grinding the crop on small scales. Less time is given over to time compression which was a strong feature of Koy'si. More time is given to time expansion, slow-motion cinematography and multiple exposure process. We spend time with the camera close up with people, individuality begins to become important as we are able to disriminate groups and individuals within groups. The second half of 'P'begins to include material that may have a direct distressing affect on the viewer, perhaps only an uncomfortable feeling at first, which in my experience with repeated viewing, becomes stronger. There are a handful of moving images that for me have become outright disturbing, and more so each time I see them. There is sense of something dreadfully wrong going on, that we know about but are helpless and unable to name it and abolish it. If anything the soundtrack of 'P' is superior to 'K' but again upon repeated listening. There is a piece of singing (at about 80 mins) that is in Muslim religious style and which blew my socks off with the combination of vocal strength and clarity, subtlety of melody, subtlety of rythmyic phrasing and powerful capability to attract attention. I have no hesitation recommending 'K' to anyone including children. 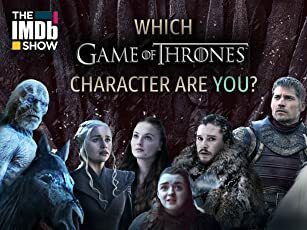 'P' is more difficult, by the end you have seen some uncomfortable truths about the poor quality of life affecting a large proportion of the world population. How comfortable can we be on our sofas watching this tale be told to us?